When Amazon eventually opens its chain of high-tech supermarkets, it’s possible they’ll be staffed by as few as three humans according to a recent report by The New York Post. We’ve known for a while that Amazon was planning to make a move into brick and mortar stores after it opened the doors of its 1800 square foot Amazon Go grocery store in Seattle. Though the store is currently only open to Amazon employees and is acting as a prototype, The Wall Street Journal reported that Amazon is planning to let customers in later this year and open more than 2,000 more stores in the future. According to The Post, some of these stores the online retailer is considering opening will be much larger two-storey supermarkets which could be anywhere between 10,000 and 40,000 square feet. The top floor of these larger stores would be populated by robot staff members who would pick up items for shoppers and bag them. The bottom floor, meanwhile, would be dedicated to allowing customers to shop for thousands of items that we traditionally prefer to touch and see before we buy such as vegetables, meat, and dairy as well as other more grab-and-go items. Both the smaller grocery stores and larger supermarkets won’t have queues or cash registers or, most significantly, cashiers. 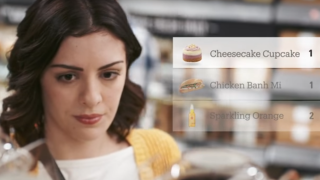 Instead customers would simply use an app on their phones to detect which groceries they’ve picked from shelves and then purchase them. In fact, apparently even Amazon’s larger stores will be able to operate smoothly with as few as three human employees with sources telling The New York Post that the plan is to have a maximum of ten employees on shift per location. The staff that work there would be expected to perform duties such as signing customers up to the Amazon Fresh grocery service; restocking shelves on the ground floor; working at drive-thru windows for customers picking up their groceries quickly; and helping the robots upstairs to pack bags that will then be sent down to customers. Using robot staff isn’t exactly a new thing for Amazon – the company already uses robots in its warehouses and at the Super Bowl its adverts highlighted its plans to start using delivery drones. That said, this report comes alongside recent estimations by think-tank Reform that AI could eliminate 250,000 public sector jobs in the next 15 years. Naturally the prospect of such total automation and the job losses it could bring is concerning to those that work in the retail sector, similar to the concerns of those who fear the impact of the relentless advance of self-driving technology. Though cutting labor costs would lead to profit margins not before seen in the grocery industry, the cost to those who would lose their employment has to be reinforced and responsibility shouldered. The New York Post said that the sources close to the matter cautioned that the early prototype plans for the store had not been confirmed just yet, and when contacted Amazon denied that it had any plans to build a robot-driven supermarket chain. An official Amazon spokesperson told TechRadar that as they told The New York Post "we have not plans to build such a store and their story is incorrect."